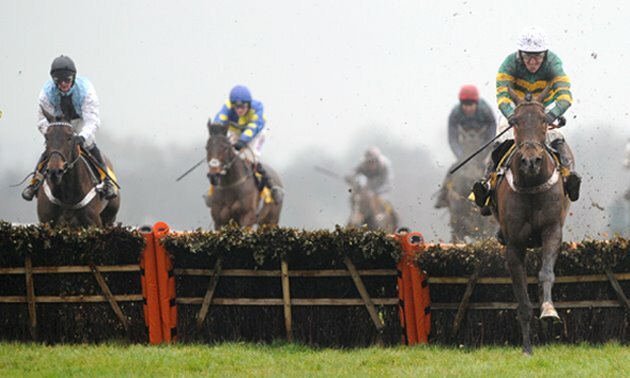 Following the conclusion of last week’s Cheltenham Festival, we look at three in-form National Hunt trainers who can carry their recent momentum into the closing weeks of the season. 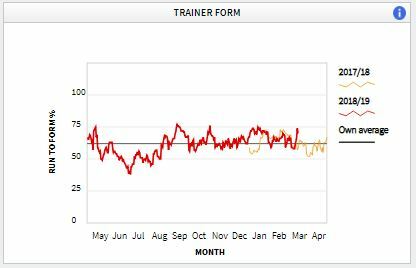 It’s easy to forget that Olly Murphy – who saddled the second and third in the Supreme Novices’ Hurdle - is less than two years into his training career, but a first Festival winner won’t be far away if his yard continues in the form it is in at the moment – an upward curve outlined by the below graph. Murphy has several interesting entries over the next few days, beginning with Roque It and Calipso Collonges, who both have entries at Plumpton on Monday. The latter has won five of his eight starts since joining the yard at the beginning of last year, and also ran well when second at Ludlow last month, where he shaped as though still on a good mark if granted a sufficient test of stamina. 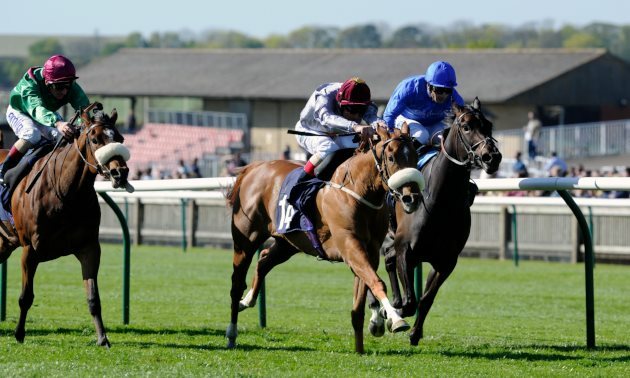 Roque It has a total of four entries in bumpers next week, and would have claims wherever he takes his chance if able to build on his debut effort to finish third at Bangor in December, when running green but giving the impression that he was up to winning a similar event. Also due to have a run in the next week is No Alarm, who is entered at Southwell on Monday and at Market Rasen on Wednesday. 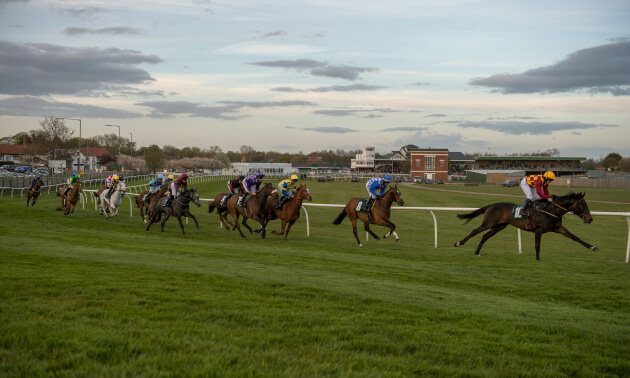 He showed improved form to get off the mark at Market Rasen on Thursday, and would have leading claims if quickly turned back out (escapes a penalty). 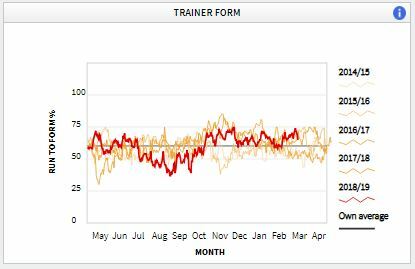 Fergal O’Brien has been performing above average for the vast majority of the winter, as the graph below shows, and he’s heading into spring on one of his best runs of the season so far. 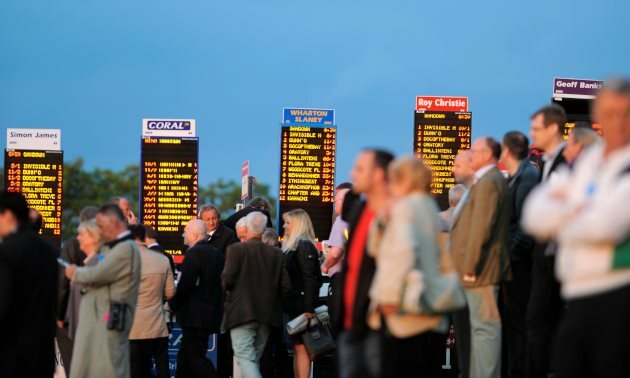 Like Olly Murphy, O’Brien had a select team at Cheltenham this week, though he has a handful of interesting entries over the next week, including Mercy Mercy Me, who has entries at Exeter on Monday and at Chepstow on Wednesday. He’s been optimistically campaigned at graded level at Sandown the last twice, running about as well as he was entitled to, and it shouldn’t be long before he gets his head in front now dropped in class to a more realistic level. Another who could run on Monday is Tequila Blaze, who could make her debut in a bumper at Southwell. She makes some appeal on paper (half-sister to the fair hurdler Dakota Grey) and is worth a market check considering the yard has a 16% strike rate in bumpers over the last five years. Liosduin Bhearna has two entries, both in Wales, and would be of interest if lining up in either. He showed improved form to get off the mark on handicap debut at Ayr last month, and considering he’s likely to improve the more his stamina is drawn out, the testing conditions forecast at both courses should suit him. Also with an entry at Chepstow on Wednesday is Troika Steppes, who would be interesting if taking his chance in the handicap chase on the card. 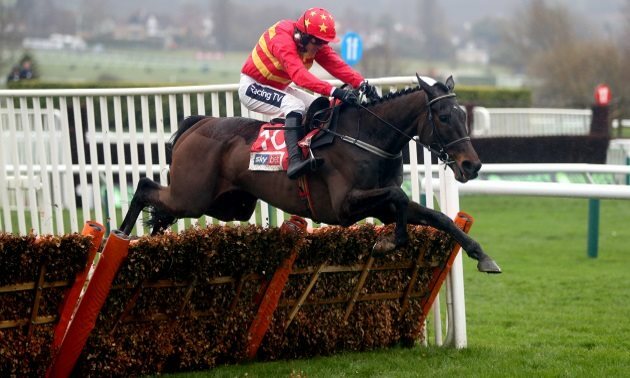 He’s slipped a long way down the weights, lurking on a mark which is 32 lb lower than his last success, which came at Cheltenham in October 2016, and he’s been threatening to return to form of late, finishing third at Leicester last time. 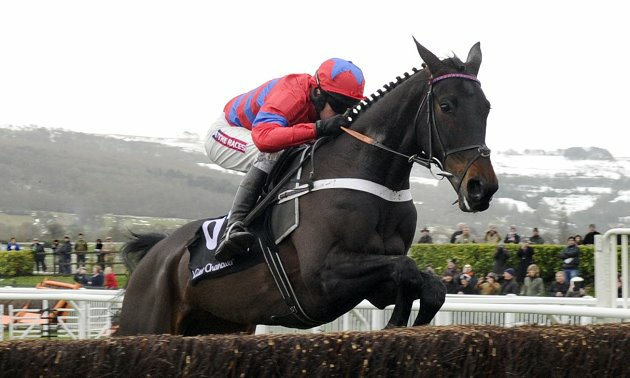 The removal of headgear could do the trick and he ought to return to winning ways sooner rather than later. 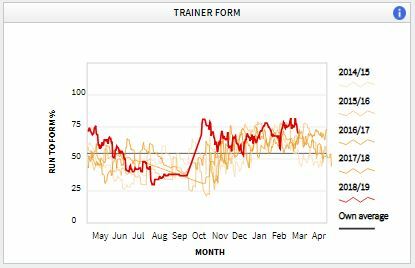 Like most National Hunt trainers, Lucy Wadham endured something of a quiet spell over the summer, but she hasn't looked back since the season has got into full gear, as the graph below shows. Wadham has just a handful of entries over the next few days, but a couple catch the eye, including Regarding Ruth, who has entries in handicaps at both Huntingdon and Wetherby on Tuesday. She’s still a maiden after three starts over timber, but she ran her best race yet to finish third at Huntingdon at the beginning of the month. 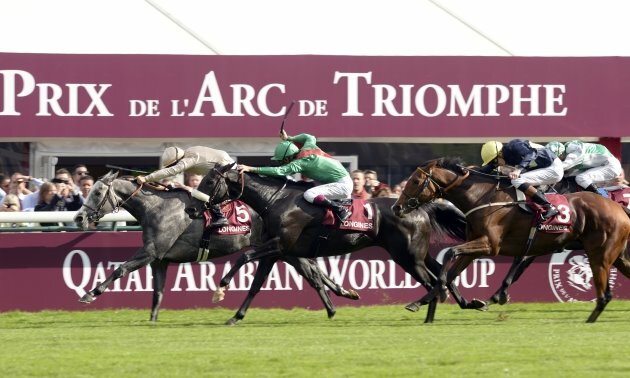 She gave the impression that she would have benefitted from stronger handling that day, giving the winner the most to think about before weakening late on - it will be interesting to see who takes the ride, considering that a claimer has been on for the last three occasions, but Leighton Aspell has ridden her in the past. Also with an entry at Wetherby on Wednesday is Will Sting, who makes some appeal on paper (from the family of the high-class staying chaser Nick Dundee) and is worth a market check on debut. On Wednesday, Wadham could have two runners, Mr Love at Market Rasen and Eclair de Guye at Chepstow. The latter looked to have been handed a harsh opening mark after his fourth at Sandown in February, but he improved to finish second at Warwick last time and would be interesting if taking his chance on Wednesday off the same mark, while Mr Love isn’t the most consistent performer in training, but would have solid form claims if on a going day.